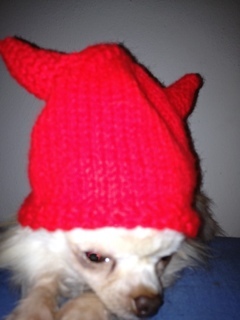 I still haven’t found any models for the new hat, so I put it in the dog that sits still. Sort of. It took about four pictures to get this. Personally, I find it hilarious. He’s about two pounds so the hat is way too big for him.